Another day closer to the Cardinals season debut, a spring training win yesterday in green and red jerseys that looked more like a real game with the pitcher batting (plus Marco Gonzalez getting and RBI single) — yes, we can survive 18 more days. Right? And No. 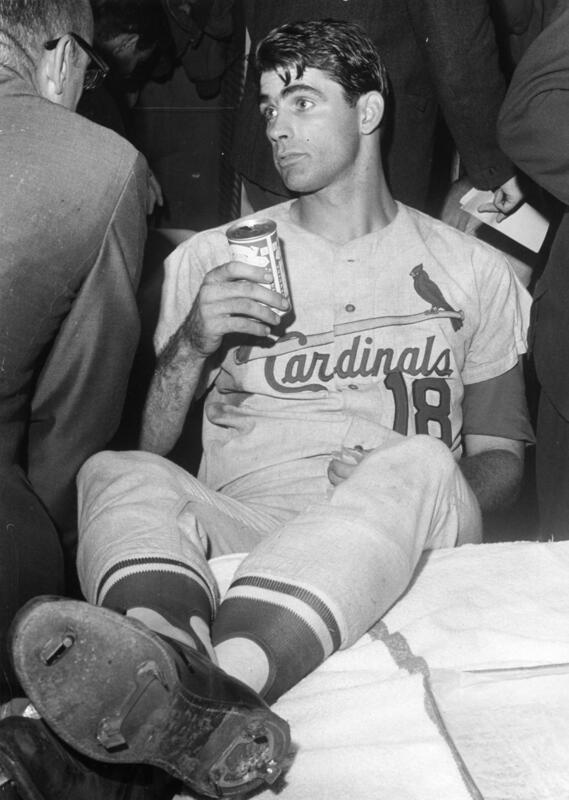 18 has been a frequently worn number for the Cardinals, with everyone from Mike Shannon (could there be a more Mike Shannon-like picture than this?) to Andy Van Slyke to Luis Alicea (for some reason, Harry Caray’s pronunciation of that name sticks out in my mind) having worn it. Tragically and touchingly, there is a new No. 18 for the 2015 Cardinals, with Carlos Martinez changing his number to honor last year’s No. 18, Oscar Taveras. But the man who wore No. 18 the longest for the Cards is today’s spotlight. He takes reclamation projects and turns them into assets. Two — Bob Welch and Dennis Eckersley — won Cy Youngs with the A’s and another castoff who came to Oakland, Dave Stewart, won 20 games four straight years. He has been the pitching coach for four Cy Young winners (LaMarr Hoyt and Chris Carpenter too). In addition to Chris Carpenter, we can all think of Cardinals pitchers who had success under Duncan that they didn’t necessarily have before or after (even if that success was only for a season or two): Kent Bottenfield, Matt Morris, Woody Williams, Jeff Suppan, Jason Marquis, Ryan Franklin, Kyle Lohse … the list could definitely go on. There is his work ethic. Pitchers rave about how he is constantly studying video and charts — in the clubhouse, on the team plane — to devise plans on how to use your stuff against each hitter’s flaws. His style is to-the-point brevity. Sherman’s 2011 article was about Duncan being worthy of the Hall of Fame, though coaches technically are not eligible. 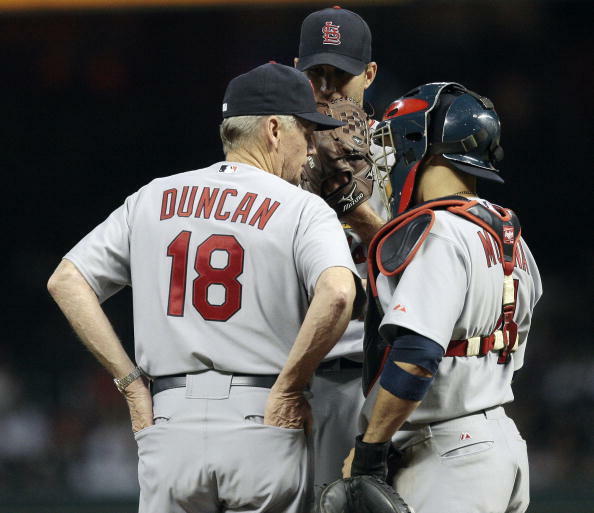 But Duncan certainly has a resume worth it, as well as the same three World Series championships as Tony La Russa. One of those championships, in 2006, came with his son Chris as a member of the team. Plus we actually did get to see a rare reaction — a positive one — from Dave when Chris hit his first home run. And that opportunity to be together for the 2006 championship brought about a special experience too. Unforgettable moment for them, without a doubt. And now just 18 days until Opening Night for the Cardinals! This entry was posted in 2015 Cardinals and tagged Countdown to Opening Day, Dave Duncan by Christine Coleman. Bookmark the permalink.